In honor of Throw Back Thursday, I began thinking about my Journey to living a Healthier lifestyle. I started it a little over a year ago. Now, I'm gonna tell ya... before this, I had never looked at a blog a day in my life and I'm personally not the best writer. I created this more for informational purposes so I had somewhere to direct my challengers that I coach. But I'v decided that I don't care if I'm not the best writer, if I can inspire just one person... then I'm gonna write, darn it! ;) So welcome to my life... feel free to follow me! xo! So, back to my story. I was thinking about how I got started in this whole healthy lifestyle thing a little over a year ago. This was the time I had realized how unhappy, unhealthy, and unfulfilled I was. I hadn't been working out or eating healthy, I wasn't enjoying my job, I had zero energy, I felt like I didn't get to see my family and friends enough or just enjoy life, so I was starting to feel BLAH and depressed. And it was effecting my relationship with my (now) husband. I felt like I wasn't fulfilling my wifey duties and I was just moody and not pleasant to be around. It wasn't like me at all. I was in a MAJOR funk! SO, I decided that I needed a CHANGE! Long story short, I found my coaches FB page and it was so full on inspiration, motivation, and positivity. 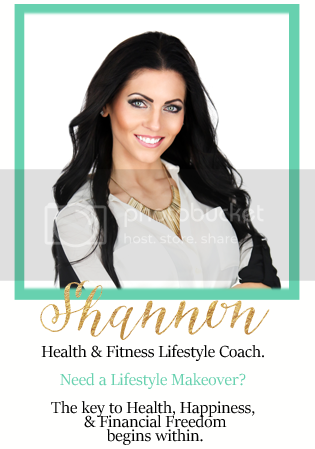 I saw that she was able to work from home, be with her kids, and make an income by running these challenge groups all while helping people get healthy and fit! Ummmm for real?! I thought for sure it was too good to be true but I want nothing more than to be present in our kids lives when we have them. I've always told my husband that I want to be a stay at home mom... No not because I don't wan't to work!!! ;) But I want to give my kids everything I always wish I had as a child. But I never thought that I could do this while making my own hours and controlling my own income! SO, I knew I wanted to be a part of this! I figured, what do I have to lose anyway? Things couldn't get much worse. So, I purchased Shakeology and Chalean Extreme, and committed to doing a challenge group. I also signed up as a coach so I could learn the ropes as I went and see if it was all it was cracked up to be! Welp, I have to say, that was the first time I've EVER stuck with a fitness routine! I absolutely loved it!! It was better than any workout I had ever done. I realized how much I LOVE lifting! I used the resistance bands for the entire program but it worked just as good as weights! It was tough, but a good tough! And it didn't make me 'bulky' like everyone thinks lol I was toned! I completed the full 90 days of the workout program, along with clean eating and I looked and felt better than I'd ever felt in my entire life! No joke, it was amazing!!! I met so many new people and I learned SO MUCH that I was able to start running my own challenge groups. And now, here I am a year later, making a full time income Coaching (guess it wasn't too good to be true!) and I'm STILL committed to my health and fitness journey. Of course, there are ups and down, bumps in the road, and even brick walls that get in the way sometimes :) But you have to learn to KEEP GOING. Keep positive people close to you. I'm surrounded by them every day. CHECK OUT THIS NEW COACH SPECIAL!!! !